Welcome to Mary Magdalene's Messages. Many of you may know that I have been a direct voice channel for Mary Magdalene, Yeshua (Christ), Mother Mary, and other members of the Holy Family for over 25 years. 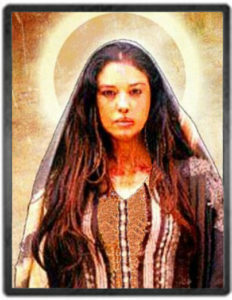 Mary Magdalene, especially, often wishes to bring forth her voice of the awakened Divine Feminine Energy. She has been channeling weekly messages through me for the past 14 years. These life altering messages are for the serious spiritual seekers who truly desire to attain Divine Union with their higher selves and bring peace to this planet. Each weekly message has a theme that is pertinent for the evolutionary growth of humanity. These weekly messages will also be available on my Lea Chapin YouTube Channel so that you may have the full sensory experience of these teachings. Following is the most current Mary Magdalene's Message. Greetings my beloveds, yes it is I, Yeshua. Mary Magdalene is here as well. We wish to say to you that we thank you for your devotion onto me and my family during the Holy Week, for there is so much love that is brought forth during the time of my crucifixion and resurrection. I thank each of you for holding the flame of transmutation, for my energy and for my essence, and for the love that you bring onto me. I feel your devotion, I feel your peace and I send you love. As you are to understand at this time, it is a time of bringing forth the essence and the energy of restoration. Now after the Holy Week, as they say, of the ascension, it is simply time for each of you now to be reignited and to be infused with the threefold flame. I ask you Dearest Children of the Light to take a deep, inhaling breath and simply begin to breathe in the essence of the threefold flame, calling in the energy of the resurrection flame, calling in the violet flame, and calling in the beautiful energy of the holy essence, the holy spirit, into your being so that you may become restored, revitalized and filled with renewal, for you see Dearest Ones, this is your springtime, this is the time of renewal, this is the time of restoration, this is the time of new beginnings. I ask you Dearest Children at this time to feel this essence and presence of peace, that I send onto you on this day, Mary and I send you the light, the love and the Holy Grace upon your soul, please take a deep inhaling breath and as you begin to feel this energy of peace transforming over you, may your heart open to the love of God, to the essence and the joy of all that is. As many of you are truly aware of the great fire at the Notre Dame cathedral in Paris France, the week of the Holy Week. Many have wondered about the significance and what this really means. It is simply a purification of energies that no longer serve not only the Catholic Church, but religious dogmas, and all of the energies that are being brought forward in that sacred temple. It is simply a purification of the energies that we now bring forth, calling in the sacred Mother energy, calling in the sacred Father energy, calling in the energy of Divine, Holy Balance. As you see, this Great Cathedral, this temple, was built on many energies, in its day, that held the patriarchal energy. Yet now it is the restoration, it is the purification of the patriarchal energies that are now being purified, so that the energies of Divine Mother Energy can be received. It is symbolic, the fire was symbolic of the purification of the old, patriarchal rule that has suppressed the sacred feminine. In all of its beauty, in all of its grandeur, the beautiful cathedral still held much suppression, of the energy of the patriarchal rule. So now the energy can be rebuilt and reclaimed with pure love, for you see the outpouring of so many that were heartbroken and devastated by the fire in the beautiful cathedral, wondering what does this mean, how could this happen? And yet you see Dearest One, this is the time of the resurrection, this is the time, this is the now of the resurrection of the Sacred Mother, the sacred energy of honoring not only my beloved Mary Magdalene, but all the energy of the Sacred Feminine. So Dearest Ones, honor the energy of change, honor the energy of purification, honor the energy of transformation, for each of you there will be what we call an initiation into the sacred fire. Allowing yourself to purify all energies that no longer serve you, discordant and disharmonic frequencies that have been held in your physical mind and your own etheric field, for this is a time of restoration as we say, this is a time of rebirth, and just like the fire at the beautiful cathedral, you will be going through this purification, do not resist it, do not be afraid of it, allow yourself to feel the honor, this time, of honoring your own temple, just as so many are in awe and honoring the great Notre Dame cathedral. It is time for your to honor your own temple. For you see Dearest Children you hold so much love within your vessel, and so much light. Each of you are holding so much for this planet that you are not even aware of. So it is time now to purify the disharmonic frequencies that have kept you from the truth of who you are, because it is time for the Sacred Mother, the Sacred Feminine to merge within each of you at a deeper level. Begin to breathe in this energy, begin to breathe in this essence, begin to breathe in the love of the element of fire, of purification, be not afraid of it. Be not in grief. Simply know that this is the time, in this year of 2019, for freedom to prevail, and love to prevail, and light to prevail, and hope to prevail. Simply allow yourself to feel this energy as you take a deep, inhaling breath and the energy and the element of fire and purification, the beautiful energy is now beginning to cleanse your soul. So Dear Daughters and Sons of the Light, as Mary and I stand with you, we stand in sacred union with you. My Mary stands before you and I stand behind you. Archangel Michael is at your left, and Archangel Gabriel is at your right. Just as the symbology of the Cross, this is the symbolism and the representation of unity and peace. As above, so below. So Dearest Ones, as we stand with you and we stand beside you, bringing you this energy of purification and balance and unity upon your soul on this most sacred day, the day of resurrection, the day of restoration, the day of transformation. You have brought forward the essence and presence of your beautiful light upon this earth, and time and time and time again each of you have sacrificed yourselves, just as I have sacrificed myself. You have sacrificed yourself for the greater cause, and so we thank you for your devotion, we thank you for your commitment, we thank you for your love, we thank you for your willingness as you stand in the light and the love and the peace of who you truly are. So allow your heart to open to this essence of joy, because today is a new beginning, it is a powerful day, a new beginning. Each and every moment, you are now beginning to shift your vibration to a higher frequency of light, and you shall begin to feel lighter and lighter and lighter. That which has troubled you will begin to fall away. One by one by one. All that has troubled you will begin to fall away. So allow your heart to open to this energy of peace and tranquility that my Mary and I give to you, and just like the energies that are being purified all over the planet, you see the energy and the element of fire not only causes what you call destruction, but it is purification, it is rebirth, it is a new beginning. It allows the energies to be restored, so call the element of fire into aspects of your life that need to be restored. Perhaps where you feel stuck, perhaps where you feel limited, perhaps where you feel that you are no longer moving forward, perhaps stuck in your own way, feeling a sense of stagnation. I ask you to call in this element of fire, calling in the purification, calling in the energy, the essence of peace, and no longer being afraid of stepping forward, for yes Dearest Children this is the gift that we bring to you today, the gift of renewal and new beginning. We would ask each of you to now begin to set a list of aspirations that you wish to obtain in this year of 2019 and in the year of 2020. Begin to list the aspirations, the hopes, the dreams and your desires for you to be able to move forward because this is the time for each of you to step into the greater purpose of what you’ve come to do. You’ve been preparing for this for some time, and now the time has arrived. Since this period of time, you have been in preparation, preparing not only your mind but your physical body and energetic field to be in preparation, preparing yourselves to be messengers of the light, to be leaders and wayshowers of the light, and preparing yourself to feel so much love and so much peace and so much hope for this planet and for yourself. So the time has come, Dearest Ones, for you to stand in the truth and the commitment of why you came to this planet to serve. Each one teach one, each one lead one. You have stepped forward now to receive and we bow to you and we honor you and we are grateful to each of you that you have chosen to be on this path of service, and now your pathways will continue to open one by one by one. The element of fire and the energy of purification will begin to purify all that you feel is limiting within you. You shall begin your course of teaching and leading and bringing your light to the world, at even a deeper and more profound level. So I ask each of you Dearest Ones to go into your sacred heart, your merciful heart, and take a deep, inhaling breath as my Mary and I stand with you and we open up your sacred heart. Begin to feel the love for yourself, and begin to feel the devotion for yourself. Begin to feel the peace for yourself, for I ask you to breathe in this energy of purification, and breathe in the revitalization and breathe in the aspiration of all of your hopes and dreams into your sacred heart, calling in this passionate energy, so that you are ignited by the flame of fire and you become passionate, and you become restored with the passion within your heart to begin anew. Just as within my own ascension process, I moved into the energy of renewal, moving into a state of what we call enlightenment and freedom. Today as you shift your consciousness from limitation into freedom, begin to bring forth the essence of peace. Bring this peace into every cell, every fiber, every pore of your being, calling in the vibration of peace into every cell, every fiber, every pore of your being. Breathe in the vibration of peace, and allow your heart to open to love. Within in the Sacred Heart, your heart chambers, is held the seed of love, a seed of love that is to be nurtured within you of self-love. For each of you it has been difficult to find that unconditional love for self, to find that seed of love for yourself, to honor self. As you have given and given onto the world, it is time for you to receive for yourself. My Mary and I stand with you and seed you with deeper love, with a deeper passion so that you may become confident and strong and blessed with the truth and the understanding that you are a powerful being of light, and your heart is open to receive. You see, Dearest Ones, this is the representation of the cross, the symbolization of peace and unity, for each of you come into your own and feel peace for yourself. It is the gift that I brought to each of you, love and peace. Allowing yourself no longer to be the sacrificial lamb for others, to sacrifice yourself for the greater cause. It is simply for you to honor all of life and honor yourself, and allow yourself to receive. It is in the receiving of unconditional love for yourself, and the peace that we bring to you, that you will begin to feel this greater sense of self, as you move in to the awareness of your higher self, of your higher consciousness, moving into your ascended self, your Christ Consciousness, there you begin to operate from your higher mind and your higher wisdom, and the higher truth of who you are. There your third eye will begin to open and you have greater clarity, and you will begin to see the bigger picture opening for you, one by one by one, all of the veils shall be lifted, and you will feel the energy of truth and understanding within your own heart and your own mind and in your own soul. So Dearest Children, I ask you to take another deep breath and begin to breathe in to the energy of your sacred heart, into the deeper chambers of the seat of your soul, for we are seeding you with light and love and peace and tranquility. So breathe in this vibration of unity and peace as the representation of the cross symbolizes my love and peace. So know at this time that the heart of the mother, the heart of the sacred mother is restoring all energies back to unity. As the beautiful Notre Dame cathedral is being rebuilt and restored, it will hold even greater mother energy, love, peace, tranquility compassion, and mercy, being built with a new vibration, a new level of consciousness, a new level of strength. This is what is happening to each of you today, your temple is being resurrected with new energy, new compassion, a new level of strength, a new level of peace. And so your own physical body, your mind, your etheric field, your subconscious, your conscious and your superconscious mind are all now being restored and resurrected into the energy of the Sacred Mother, because it is time for you to honor your temple, it is time for you to honor the energy of who you are. Not to look externally to honor but now begin to look and to feel the honor and presence of you. Begin to honor your own soul, your own life, begin to honor the brilliance of you. So this is your time, this is your now, this is your resurrection, this is your purification. This is the energy of peace and tranquility that my Mary and I bring on to you. As you open your heart to the brilliance of who you truly are, you will begin to feel your magnificence growing and growing and growing. As you begin to expand into another dimension of you, you are all beautiful children of the light and it is time to honor the magnificence that you each hold. You are all bright lights upon this planet, one by one by one, you become brighter with each passing day, and wherever you live, wherever you go your light begins to shine and to bring even greater light where there is darkness. So Dearest Ones of the Light, see yourself in your magnificence and feel your brilliance, and feel the power of all that you are. My Mary and I are so honored to be with you and to stand with you, as this is a powerful time of change, as we have said, this is the beginning, new beginnings upon the earth, and the energy of the Mother Energy can now bring forth a greater balance with the energy of the Sacred Masculine, the two merging as one. It is within your sacred temple that you begin to feel the strength, and you begin to feel this devotion, so I ask you Dearest Children, do not hold any judgment against yourself or another, or even what you believe is not of truth, or even misperceptions about what you feel, sense of what is happening within your world. I ask you to be at peace in all things, and trust that all is in order, all is in divine order. The energy of Mother Energy will come to bring you peace and compassion. All is in Divine Order. So trust now, Dearest Ones, trust within your temple, trust within yourself, trust within your own consciousness that every moment of your life is a sacred moment of truth. That you are all walking as masters in your truth, and what you are bringing to this world is an essence and presence as precious as a beautiful jewel, you are all precious jewels. And so honor the gift that you bring, and honor the light that you are. Just as the beautiful cathedral of Notre Dame stands in her glory, she will resurrect again and be even more powerful. Today Dearest Ones, this is a day if you so choose that you will resurrect yourself into a greater magnificence and begin to honor the essence and the beauty of your magnificent self. We know it is difficult for each of you to accept this within your heart, we ask you to begin to honor and love yourself to the best of your ability, and feel the energy of tender love and compassionate mercy upon you. So know, Dearest Children of the Light that at this time of the Holy Week and the honoring and celebration of my ascension, I honor and bring this gift to you, on this day of April 22, 2019, the day after the celebration of my own ascension. 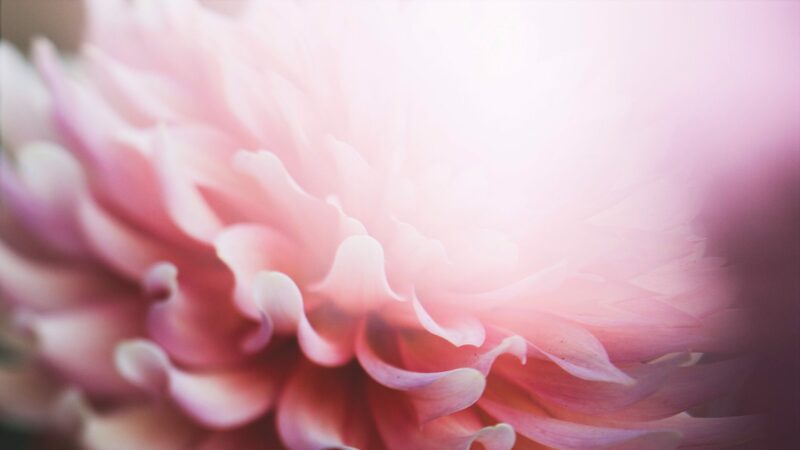 I bring you this gift of your own resurrection and ascension, so that you may merge with your oversoul, with your Christ Consciousness, the essence and the totality of who you truly are, so you merge with your I AM presence, and you live in this beauty and this state of tranquility throughout eternity. My Mary and I stand with you as Archangel Michael and Gabriel stand beside you, we thank you for your time, we thank you for your attention, we thank you for the brilliance of who you are, know that the magnificence and the glory of the beautiful light that you hold within your essence shines eternally, and you are now immersed with the threefold flame, you are one with the energy of all that is, and the brilliant energy of the Great I AM Presence runs deeper within the essence of your own consciousness, subconscious and superconsciousness, so that you will begin to feel the power of who you truly are. Go now my children and be at peace. We send you our love, and until we speak again, blessed be my sacred children, I love you and honor you and hold you dear to my heart.